Welcome to Rossdale….your community begins here! Interested in volunteering? Contact us to find out how you can contribute to making our community stronger. Or come out to a community league board meeting on the third Tuesday of the month (Sept-June), 7:00pm at the Rossdale Community League Hall. All meetings are open to the public and offer a great way to learn about what the league is working on and what’s coming up in the future. Rossdale is the birthplace of Edmonton, and Alberta! It was here that Edmonton began life as a fur trading post in 1801, and where Alberta was inaugurated as a province in 1905 by Prime Minister Sir Wilfrid Laurier. 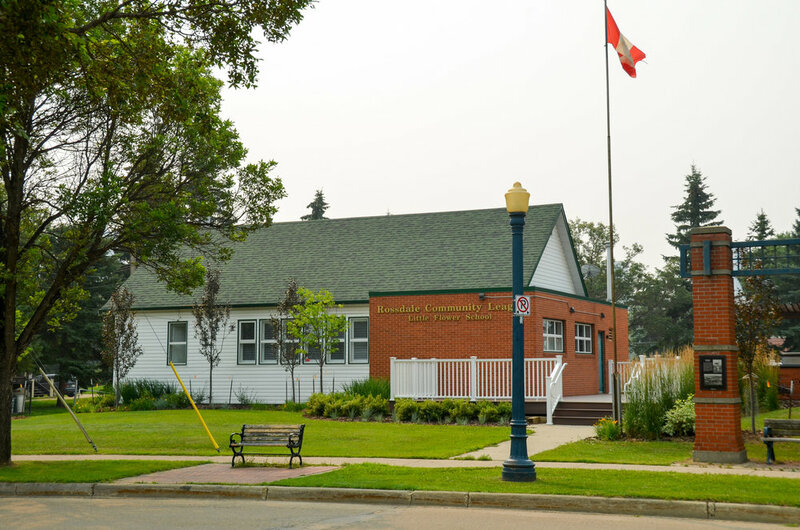 Please be advised the Rossdale Community League Hall will be closed January 2019 through March 2019 for renovations. Little Wheels Training is pleased to offer balance bike training classes and fun riding, starting Monday morning April 29 at Athlone Community League Hall at 13010-129 St.
Master Gardener, Miep Raedschelders will be presenting gardening tips on vegetable selection, planting, and weeding. Register now for the Great Neighbour Race on April 27, 2019! Registration is now open for The Great Neighbour Race on April 27, 2019! Bottles piling up in your garage? Apply to be a census worker! The City of Edmonton is recruiting for the 2019 census. Come to the hall this Sunday for a free outdoor BBQ, hot chocolate, some street hockey fun and fire pits! The community hall renovations are proceeding as per schedule, with completion planned for the end of March. Rossdale Presents...Spring Concert Series! Get your tickets now! LOOKING FOR VOLUNTEERS to help organize a spring community garage sale and big bin event. Please contact rossdalecommunity@gmail.com if you can help out with either of these events. Community League Memberships ARE FREE! Community league membership in Rossdale is free for residents (see community league boundary here) and can be obtained by contacting Lynn Parish, President, Rossdale Community League. The membership year runs from September 1 to August 31 and membership cards can be obtained at anytime.